A home generator is an important safety precaution that enables your home to continue to use electricity even during a power failure. 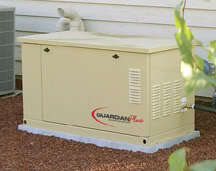 Also known as emergency generators or backup generators, these machines can literally be life savers if you live in an area like Miami, for example, which suffers from frequent tropical storms and hurricanes. A small permanent generator that provides 10-15 Kilowatts will typically cost between $3,000 - $10,000, and an added $400 - $1,000 for installation fees. A larger generator that can provide 20 – 40 Kilowatts will usually cost between $5,000 and $20,000. These generators will operate even if you’re away, saving you the headache of returning home to a refrigerator full of spoiled food.